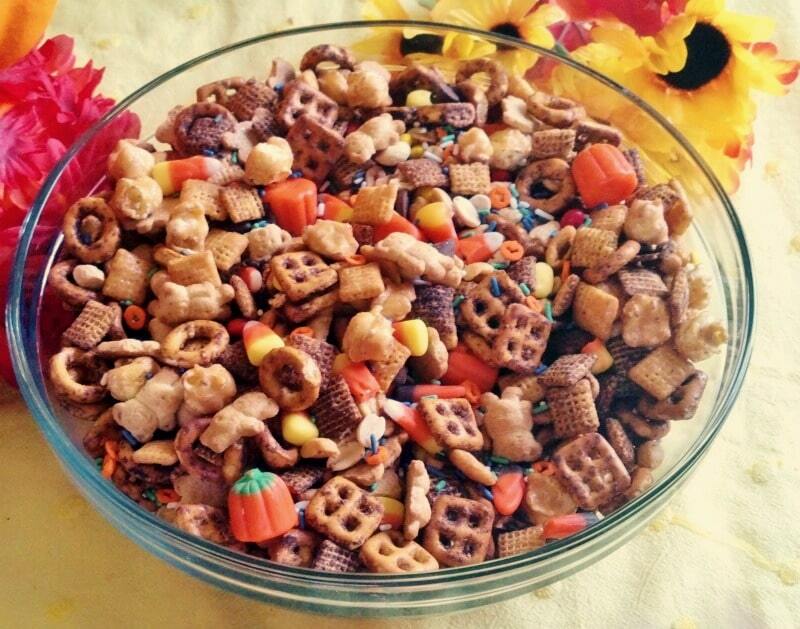 Fall is in the air – and you may want to keep this yummy snack in mind for upcoming parties! Jamie here! 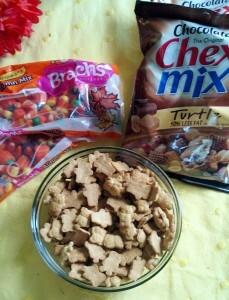 I had some extra Brach’s Autumn Mellowcreme mix that was left-over from a fall party at youth group. Since I can’t be trusted around that stuff, I decided this was the perfect opportunity to try to make Scare Crow Crunch for the kids! 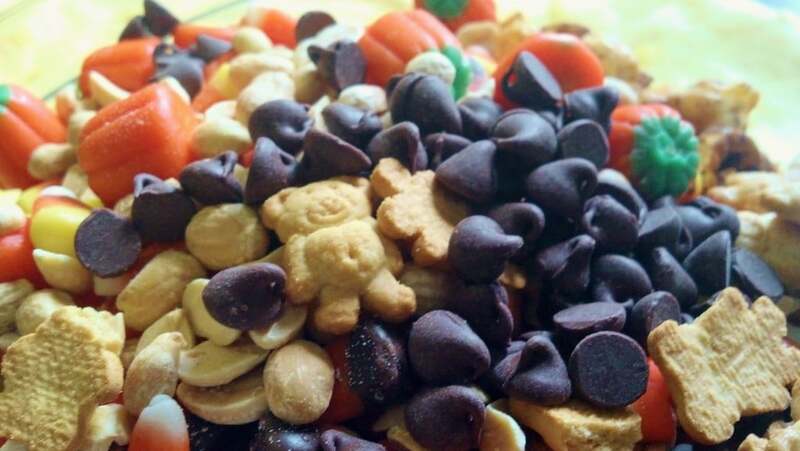 I happened to have a whole lot of turtle Chex Mix from a recent Walgreens deal – so I used that along with a box of Teddy Grahams, some leftover peanuts, a handful of chocolate chips, and of course – the Brach’s Harvest Mix. Stir it all together and see if it looks about right – maybe you’ll wander over to your cabinet and find some stale Halloween sprinkles from last year – you should probably throw those in too for extra pizazz. 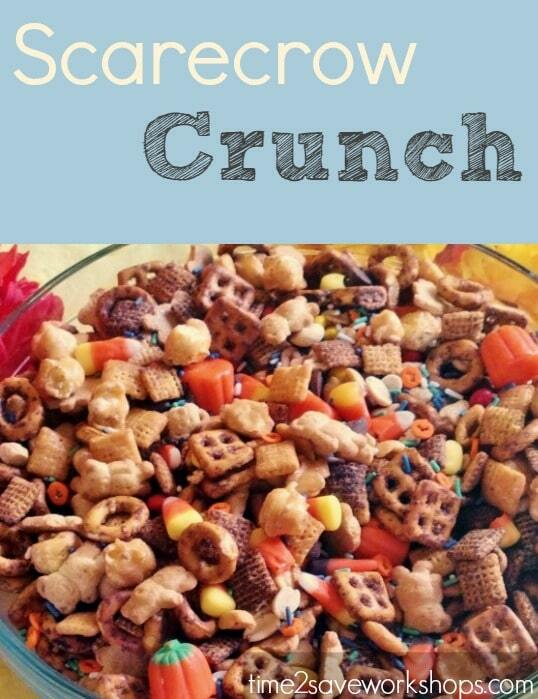 Now don’t you dare tell your kiddos that this is Chex Mix and candy corn – because they’re smart and they’ll know you’re recycling stuff they weren’t all that excited about earlier this week. But you tell them it’s “Scarecrow Crunch” and they’ll be all over it! Check out more yummy Kids Snack Recipes & Ideas here!